← In Praise of Engineers . . . The Model T Ford revolutionized transportation for the common man, making the automobile, and freedom of movement, available to everyone. One of the key points of the Model T was its simplicity. It was built for one purpose only, to get passengers from point A to point B quicker than in a horse and buggy. It was not built for comfort, or speed, or safety, or even reliability, things we take for granted nowadays in automobiles. The parts were all separate and pretty much worked independently. Definitely not an integrated machine. There was no battery gauge nor oil pressure indicator or engine temperature light. But it worked. Today’s automobiles are very different from the Model T. They are integrated machines where information flows back and forth between various components via a network in such a way that many modern cares actually monitor the health and state of the vehicle on an almost real-time basis. Information about engine wear and fluid levels is constantly updated and sent to various locations, integrated with other information, and finally signalling the driver of a potential problem. The whole car is talk to itself, sharing information with the driver. And recently, Ford and other car companies are now letting the car interact with both the driver and its environment through the internet, social media and other forms of integrated technology. In the next year or two, all cars will be connected to the internet and hundreds of apps will be made available to the car and the driver. Car, driver and environment, all connected and sharing information. But most companies are not very integrated and information doesn’t easily flow from one department or function to another. How many big companies operate and run their business reminds me of the Model T. Information is hoarded within a function, kept in special reports only available to senior executives, and getting an open flow of information in a meeting is like finding water in the Sahara. It’s there, but it is definitely locked up deep underground. In order for a company to respond with agility, to innovate rapidly, and to take quick advantage of competitor mistakes, it must have processes and a culture that allows information to move quickly and openly across departmental boundaries, to get to the place where it can be used and turned into action plans for competitive advantage. But most cultures are strong on silos and weak on sharing of information. Culture can be changed, but rarely through training or culture-change seminars alone. What shifts a culture more is the implementation of new business processes that require new ways of behaving. 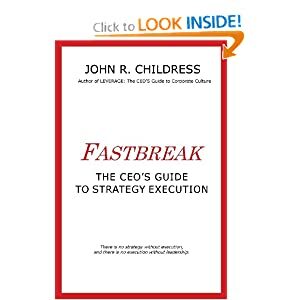 In the recently published management book, FASTBREAK: The CEO’s Guide to Strategy Execution, silo-centric behaviour is shown to be one of the key barriers to effective strategy execution, blocking the flow of vital information required to make rapid business decisions. What is needed is not just culture-change training, but a new, joined up business process that requires more open, sharing behaviours from executives and managers. The Line-of-Sight Strategy Execution Roadmap™ is just such a business process, where all information is updated constantly about the condition of Breakthrough Objectives, Strategic Initiatives, Strategic KPIs, Functional Initiatives and metrics, and the overall Enterprise Metrics. All the information required to govern, inform, execute and deliver on a business strategy is laid out on a single page, and is the responsibility of the senior leadership team to openly discuss in current state of the strategy on a regular (usually monthly or every 2 weeks) basis. Everyone is connected to the strategy and open information flows rapidly. When more and more companies realise the benefits of open information flow and a real-time Strategy-on-a-Page architecture, decisions will be made faster and strategies executed more effectively. Is your company a Model T or an interconnected organisation? 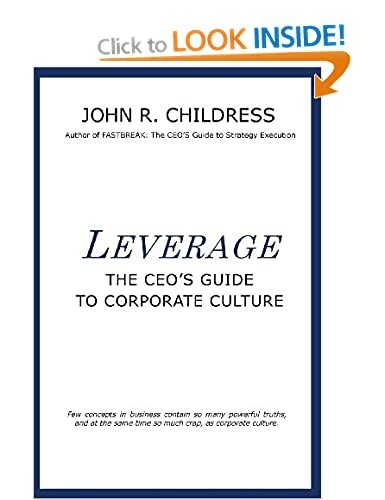 This entry was posted in corporate culture, Human Psychology, John R Childress, leadership, Organization Behavior, strategy execution and tagged digital automobiles, Enterprise metrics, Fastbreak, Ford Motor Company, henry ford, information, Internet, john r childress, Model T, open communication, strategy execution, Strategy on a Page. Bookmark the permalink.